February 6-10, 2012. Nogales, Mexico. A border town between Arizona, US and Sonora, Mexico. 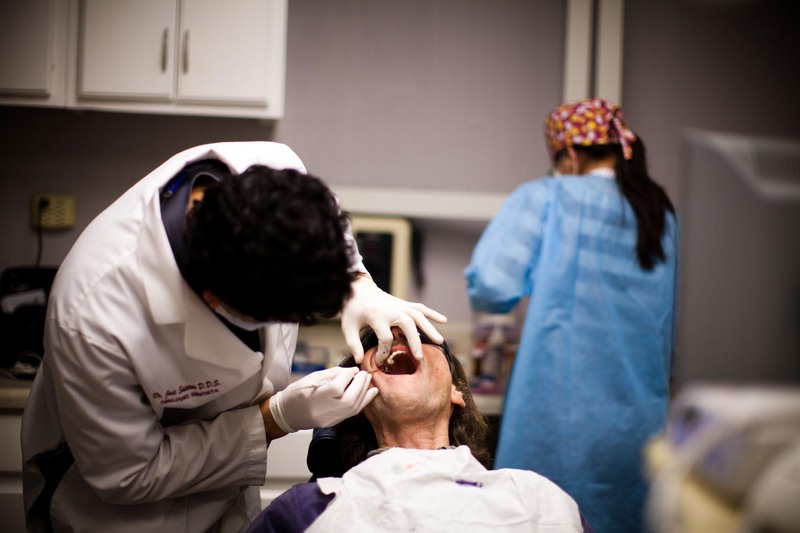 Medical travel, particulairly of the dental kind, is the main reason for american visits to Nogales. Whereas a crown can run up to and beyond $1200 in America, in Nogales it costs about $350. Here, at the Border Dental clinic, Dr. Jose Saturno has been building his practice since about 4 years ago. In the chair, Dave Hunt from Seatlle, staying with friends in Tuscon, flew in to have three crowns done. Piotr Redlinski for The New York Times.